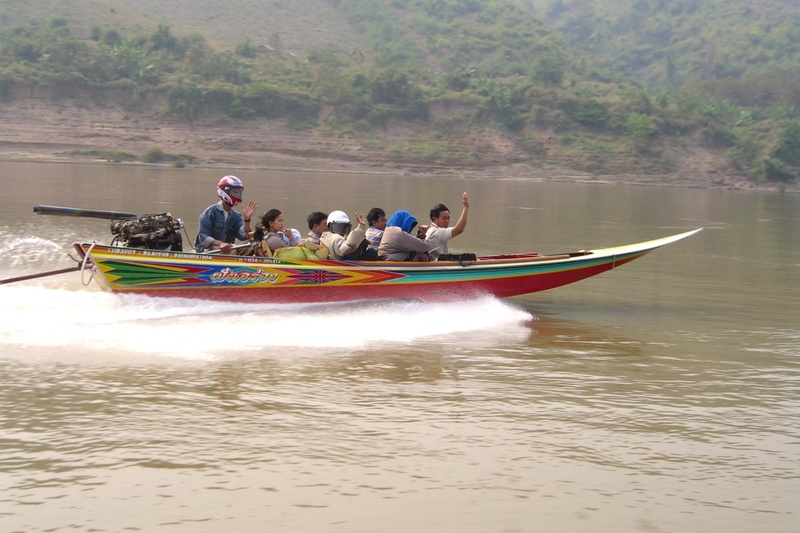 For all travelers in Laos, a slow boat to Luang Prabang ride down the Mekong River is such a popular and scenic adventure. 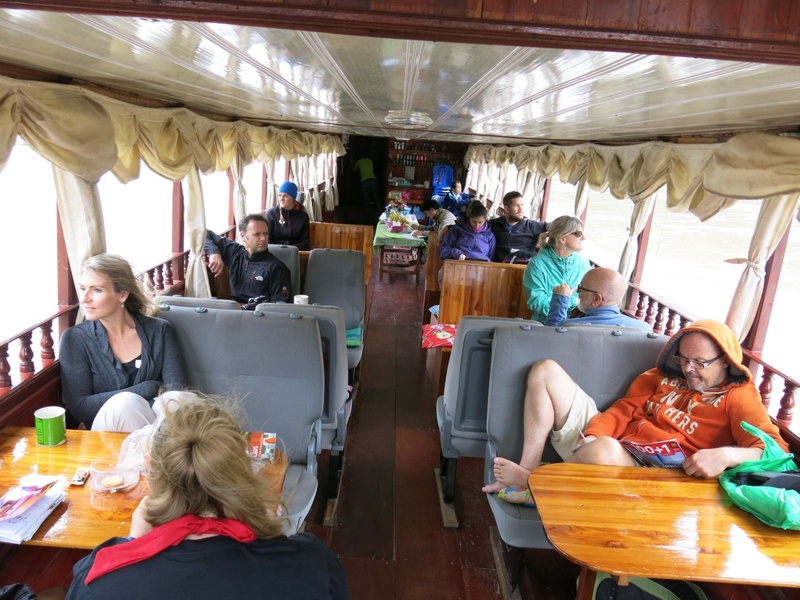 Running from Huay Xai to Luang Prabang, this two day slow boat trip includes an overnight stay in Pakbeng. Every day at 11 am, there are slow boats departing with up to 100 passengers. Each day, there is only one slow boat, however, in high season, if there are between 150 – 200 passengers, up to 2 slow boats. This is considered as the best way to travel from Huay Xai. Mekong Smile Cruise may be an ideal choice if you are looking for a more comfortable ride down the Mekong River. Joining this cruise, travelers can have an amazing view of the landscape between Thailand and Laos in comfort. Join and relax with the excellent cruise on the mighty Mekong River, which is more of a luxury than public slow boat. 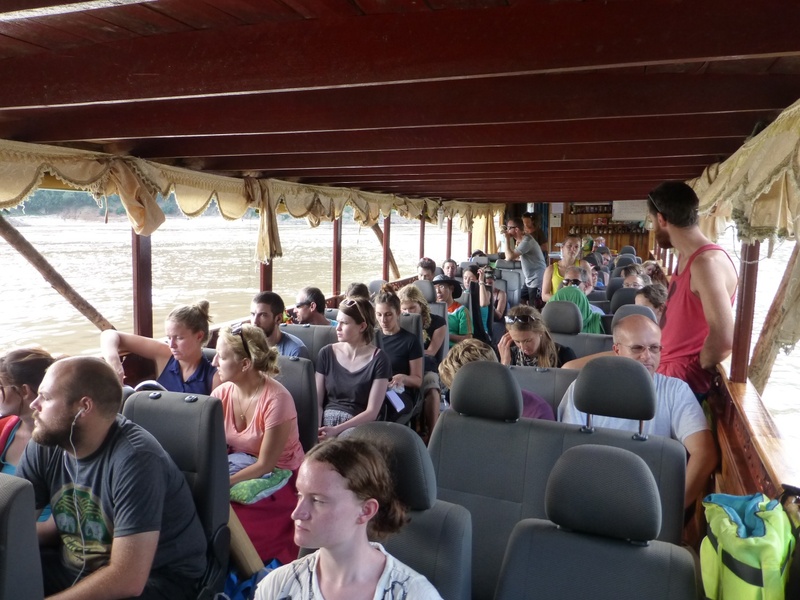 It takes 2 days 1 night to travel from Huay Xai to Luang Prabang by slow boat. Leaving daily at 11:00am from the pier in Huay Xai, the slow boat from Huay Xai to Luang Prabang takes two days and one night. With a journey total of roughly 14 hours, it costs you 240 000 kip. Make sure you bring packed lunch for the journey along including drinks and snacks as they are not included. Leg 1: Departs at 11 am and arrives at around 5- 6pm (with a 6-7 hour boat ride) in Pakbeng, where you can easily find many hotels and guesthouses as well as good restaurant options available. In Pakbeng between Huay Xai and Luang Prabang, as it can be shut down, electricity can sometimes not be available. Leg 2: Departs at 9:30 -10am and arrives at around 5-6 pm in Luang Prabang. A visit to the Pak Ou caves, called Tham Ting is not included in the boat itinerary. Don’t make the mistake of rushing to Luang Prabang from Huay Xai. You really need time to appreciate this stretch of river. 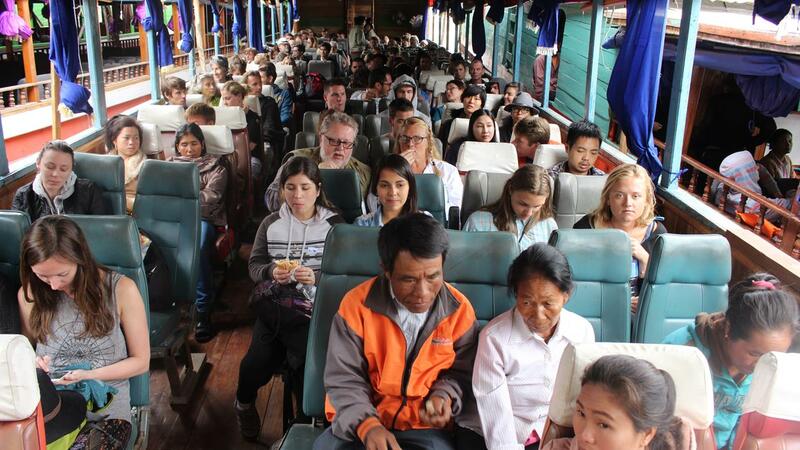 Having great experienced staff and guides, the Mekong Smile Cruises is a great option. This boat’s itinerary makes some absolutely special stops at these ethnic minority villages. Excellent lunch on board and overnight in a good quality hotel in Pakbeng are also organized. In spite of higher rates than other options, this ride is well worth for those who are interested in a personalized and unique experience. The buses to Luang Prabang depart at 6 pm, from the local bus station, Phetaloun or earlier, at 4 pm, from the Keochampa bus-station. With a stop for dinner in Luang Namtha, and another stop in Uodomsai before arriving in Northern, the journey to Luang Prabang takes 12-13 hours. 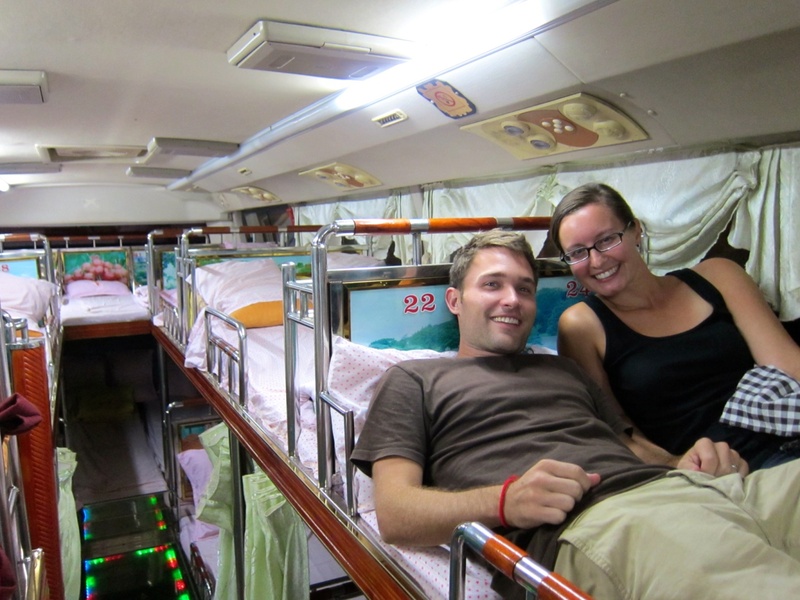 On sleeper bus, there are sleeper bed blankets and plows available together with the first floor and the second floor with 45 beds. After 3.5 hours leaving the bus station at 6 pm, it stops at Luang Namtha bus station for dinner. 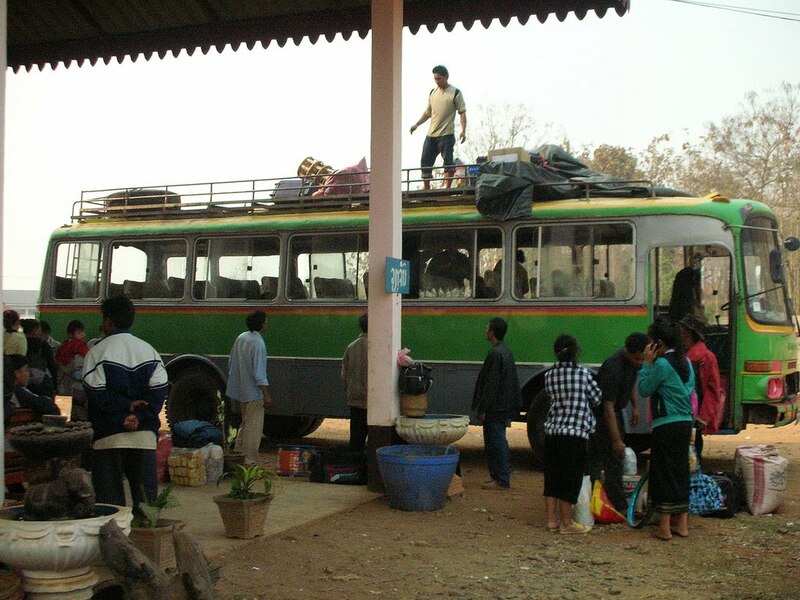 To get to Luang Prabang, this bus takes 12 – 14 hours. You have to take a Tuk Tuk to get to the town after the bus stops at the north bus station.